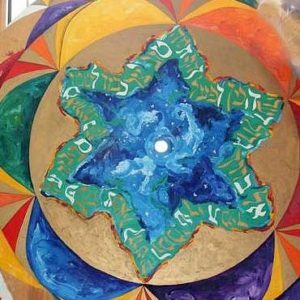 Please join us Friday for our Shabbat Service, including the seasonal spinning of our Sunwheel and a celebration of our members with spring birthdays. ​We will spin the Sunwheel for the spring equinox, which despite the snow on the ground is next Monday, March 20, at 6:29 a.m.
Birthday Blessings: We will bless all those with birthdays that occur in the spring. Rabbi Sparr will be available for office hours ​in the afternoon on ​Friday​, March 17 and Thursday, March 23 ​by appointment. Other times can also be scheduled. Kindly contact her to do so. Open to all, though held during Religious School. We will be sorting and folding​ clean bed​ linens for the Lowell Wish Project. ​They provide materials and goods for people who have been homeless and/or have a new home. There will be discussion and activities to help us better understand their lives. The Beginning Text Study Class has been cancelled. Taste of Mussar resumes next Sunday, March 26, at 2 p.m. There will be no Mah Jong Thursday, March 16 or Tuesday, March 21. Join the Mah Jong email list to keep updated about cancellations by emailing mahjongg-join@temv.org.